To have or not to have another bag, that is the question! How many bags does a girl need? 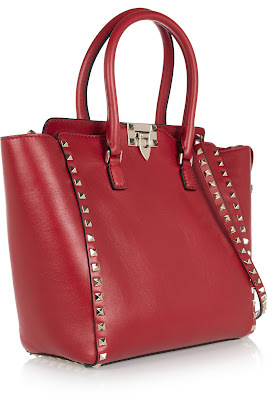 I am still thinking about red bags. 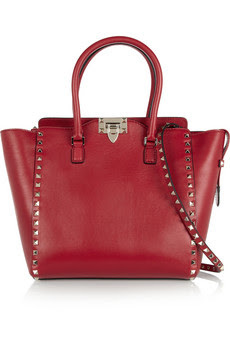 This red beauty caught my eye in Harrods... She is very practical (of course! ;), day to evening kind of bag with studs to stand out from the crowd... On my wish list for now. Follow me on Bloglovin' , twitter or subscribe by email.